After more than 400 years of Portuguese colonisation, Mozambique gained independence in 1975, but endured a civil war from 1977 to 1992. After the end of the war and the first multi-party elections in 1994, Mozambique saw major changes, including the return by 1995 of over 1.7 million Mozambiquan refugees from neighbouring countries and the return home of an additional 4 million internally displaced persons. Significant economic recovery and growth has been interrupted by infrastructure damage due to flooding, especially in 2000, and by further periodic civil unrest since 2013. The economy is dependent on agriculture, which employs most of the population, most of whom are subsistence farmers. After independence, the government took over former commercial farms, which were often equipped for irrigation. Later these were returned to private ownership by small and large scale farmers, but the irrigation infrastructure was often damaged, and lack of infrastructure still limits agriculture. However, agriculture still contributes to export revenues, with cash crops covering about one quarter of the cultivated area. Livestock is also significant, and there is major potential for timber production. Industry is growing, mostly food and drink, chemical manufacturing, and aluminium and petroleum production (large natural gas reserves were discovered in 2012), and the tourism sector is also growing. Mozambique has extensive surface water resources, with many large perennial, although seasonally varying, rivers and also lakes. Groundwater is the main domestic water source for the rural population, but to date is used only sparsely for irrigation, mostly on small scales for subsistence farming. Large scale irrigation schemes all rely on surface water. A lack of hydrogeological information is a factor restricting groundwater development. Please cite this page as: Chairuca, Naafs, van Haren, Upton, Ó Dochartaigh and Bellwood-Howard, 2018. Mozambique. Map developed from USGS GTOPOPO30; GADM global administrative areas; and UN Revision of World Urbanization Prospects. For more information on the map development and datasets see the geography resource page. The Zambezi River divides Mozambique into two topographical regions: to the north, a narrow coastal strip gives way to inland hills and low plateaus; and further west to highland areas including the Niassa, Namuli or Shire, Angonia and Tete highlands and the Makonde plateau. To the south of the Zambezi River, the lowlands cover a larger area inland from the coast, rising to the Mashonaland plateau and Lebombo Mountains located in the deep south. Mozambique has a tropical climate, with a general wet season (October to March) and dry season (April to September). However, local climate varies significantly according to altitude. The highest rainfall is in coastal areas, decreasing to the north and south. Annual precipitation varies from 500 to 900 mm across the country. 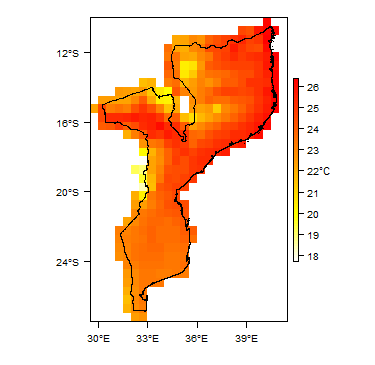 More information on average rainfall and temperature for each of the climate zones in Mozambique can be seen at the Mozambique climate page. The country is drained by five principal rivers and several smaller ones. The largest and most important is the Zambezi River. There are four significant lakes: Lake Niassa (or Malawi), Lake Chiuta, Lake Cahora Bassa and Lake Shirwa, all in the north. The Regional Water Administrations (or Regional Water Boards) / Administracao Regional de Aguas (ARAs) are responsible for operational water management, including collecting river level and flow data, in Mozambique. More detail on the ARAs and their mandate is given in the section on Groundwater management, below. There are gauging stations on all main rivers. In 1986 there were 14 hydrometric stations in 14 river basins, each station generally gauging a catchment area ranging from around 5,500 km² to around 50,000 km², but in three cases between 100,000 km² and 1,200,000 km². Since the establishment of the ARAs (starting with ARA-Sul in 1996), the number of gauging stations has gradually been increased. Information about the stations and flow records can be obtained from the ARA’s. Major surface water features of Mozambique. Map developed from World Wildlife Fund HydroSHEDS; Digital Chart of the World drainage; and FAO Inland Water Bodies. For more information on the map development and datasets see the surface water resource page. Soil Map of Mozambique, from the European Commission Joint Research Centre: European Soil Portal. For more information on the map see the soil resource page. Land Cover Map of Mozambique, from the European Space Agency GlobCover 2.3, 2009. For more information on the map see the land cover resource page. This section provides a summary of the geology of Mozambique. More detail can be found in the references listed at the bottom of this page. Many of these references can be accessed through the Africa Groundwater Literature Archive. A more detailed geological map at higher resolution was published in 2008 (see Geology: key references, below, for details). Geology of Mozambique at 1:5 million scale. Developed from USGS map (Persits et al. 2002). For more information on the map development and datasets see the geology resource page. Coastal beach and dune sands. Alluvium: alluvial sand, sandy soil, silt, gravel, lacustrine saline maud, pebble-bearing debris, estuarine and tidal flat sediment and back-barrier sediment. Interior dune and red aeolian sand, including the Topuito Formation. Marine reef, coral and bioclastic sediment. Sand sheets with local gravel. The Southern or Mozambique Sedimentary Basin, covers much of the southeast of Mozambique, and about 32% of the country as a whole, reaching a maximum width of 440km. The Northern or Rovuma Sedimentary Basin, extends along a narrow outcrop from the Tanzanian border south to Ilha de Mozambique, and has a maximum onshore width of 120km. Both sedimentary basins were subject to several marine transgressions, the main one of which occurred in Upper Cretaceous and Tertiary. The sedimentary sequences are characterized by predominately continental series of arkosic sandstones in the western parts of the basins; and mainly marine sandstones, limestones and calcarenites, in the coastal . Some Cretaceous-Tertiary sedimentary rocks also occur in the smaller Middle Zambeze Basin in the west of the country. Jofane Formation (Neogene): sandstone and conglomeratic sandstone members, locally silicified. The Cabe Member comprises calcarenite, conglomerate and quartzite. Some limestone, occasionally karstified. Lupata Group (Jurassic-Cretaceous): Monte Mazambulo Formation - conglomeratic sandstone; Tchazica Formation - sandstone and conglomerate. Post-Karoo sedimentation was largely controlled by the development of the East African Rift System and related tectonic events. The Tertiary saw subsidence along deep N-S oriented troughs along the axis of the Mozambique Channel, in which sedimentation occurred. The sedimentary rocks are sometimes intensely faulted, but only slightly folded, with slightly developed arched structures. The best developed rift valleys are the Chire-Urema and the Funhalouro-Mabote grabens (the latter is part of the larger Mazunga Graben). Upper Karoo Group (Lualadzi Formation, Zumbo Formation), Magoe Formation Jurassic to Cretaceous Sedimentary rocks of the Karoo sequence were deposited throughout Jurassic to Lower Cretaceous times, largely in the relatively small Middle Zambeze Basin in the west and the Maniamba Basin in the north of the country. The lower sequence of Karoo sedimentary rocks contains mainly very fine grained (largely mudstones), and sometimes contain carbonaceous beds. The upper sequence is more sandy. Post-Cambrian crustal development was characterised by the break up of the supercontinent Gondwana. From Permian to Jurassic, rifts developed along the E-W trending Limpopo and Zambeze Belts, where deep troughs were filled with continental Karoo sediments, forming the Middle Zambeze Basin. In the north of Mozambique, the Maniamba Basin and smaller outcrops of Karoo sedimentary rocks form part of a larger Karoo basin in Tanzania. Karoo volcanic rocks; Post-Karoo largely intrusive igneous rocks. Including the following formations: the volcanic Movene; Umbeluzi (including Basalt Member); Rio Nhavudezi, Bangomatete, Rio Mazoe; and intrusive igneous Gorongosa Suite and Rukore Suite Jurassic to Early Cretaceous The Karoo terminated with a period of intensive volcanic activity, dominated by basaltic and rhyolitic outflows, with the resulting rocks including basalt, rhyolite, andesite, tuff, ignimbrite and volcanic breccia. The volcanic sequence consists of a number of superposed lava flows, emerging from tension faults and fissures along the margins of the Basement Complex and along the widening Zambeze and Limpopo Basins. A line of outcrops is found along these margins, of which the Libombo Range in the southwest is the most important. The outcrops continue in a narrow strip to the north of the Zambeze. The basalt along the coast of Nampula province is considered to form part of the same system. After Karoo volcanism, local, mostly intrusive, igneous activities continued along borders of the East African Rift System and the Zimbabwe and Kaapvaal Cratons. The Post-Karoo igneous phenomena are dispersed and produced rocks with a wide variety of composition, genesis and age, including granite, syenite, gabbro, feldspar porphyry and mafic dykes. The late Jurassic to early Cretaceous batholith of the Serra da Gorongosa, consisting of gabbroic and granitic rocks, and the Middle Cretaceous alkaline lavas of the Lupata region are the most important features. More dispersed examples are the Cretaceous syenitic plutons of Milange, Chiperone and Derre and the carbonatite complexes and Upper Tertiary vents of basic to ultra-basic composition in the Sena region. Proterozoic Precambrian Basement Complex The Precambrian Basement Complex occupies almost the entire region north of the Zambeze (a large part of the provinces of Zambezi, Nampula, Cabo Delgado and Niassa and the northern part of the province of Tete). Formations comprise high-grade metamorphic rock, forming part of the Mozambique Metamorphic Belt. This belt is dominated by gneiss and a gneiss-granite-migmatite complex with local meta sediments, charnockite series and a gabbro-anorthosite complex in the center of Tete province. The Basement Complex includes many metamorphic and meta-igneous crystalline rock types, including granites, gabbros, diorites, anorthosites, gneisses, metasediments and charnockites. 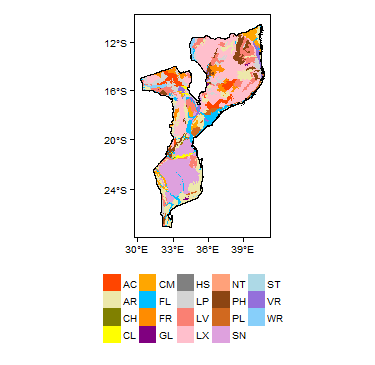 The dominant structural orientation in the Mozambique Metamorphic Belt is N-S. Several secondary orientations are distinguished in different parts of the country: NE-SW in the northeast and ENE-WSW and NE-SW in the northwest, and NW-SE in the centre. Archaean to Proterozoic Precambrian Craton: many formations, including the Umkondo Formation and the Granite Complex of the Zimbabwe Craton Precambrian Craton rocks occupy Manica and the western part of Sofala, in the Mozambican Province in the centre of the country, bordering Zimbabwe. They include remnants of the Early Precambrian Zimbabwe Craton, dominated by greenschists. Rock types include slates, schists, quartzites and carbonate rocks; quartzites, mica-schists and schistose gneisses, green schists, serpentinites, banded quartzites, meta-conglomerates, greywackes and granite complex rocks. This section provides a summary of the hydrogeology of the main aquifers in Mozambique. More information is available in the references listed at the bottom of this page. Many of these references can be accessed through the Africa Groundwater Literature Archive. The hydrogeology map on this page shows a simplified overviewof the type and productivity of the main aquifers at a national scale (see the Hydrogeology map resource page for more details). A more detailed hydrogeological map has been published by DNA (1987). Mozambique is also covered by the SADC hydrogeological map and atlas (2010), available through the SADC Groundwater Information Portal. A fourth province is unconsolidated aquifers, which are sometimes in hydraulic continuity with underlying bedrock aquifers. The sedimentary basins comprise mainly Cretaceous-Tertiary rocks, with small outcrops of older Mesozoic-Palaeozoic rocks mainly of Karoo-type. The most significant sedimentary basin aquifer is the Mozambique Sedimentary Basin to the south of the Save River, in southern Mozambique. Other, smaller sedimentary basins are the Mozambique Sedimentary basin to the north of the Save River; the Northern/Rovuma Sedimentary Basin, with which has a narrow linear outcrop in the northeast of the country; the Middle Zambeze Sedimentary Basin, in the centre-west of the country; and the Maniamba Sedimentary Basin, which has a very small outcrop in the northwest of the country. The sedimentary rocks form variably local/discontinuous to regional/continuous aquifers, usually with a mixture of intergranular (porous) and fracture/fissure permeability. Large areas are overlain by unconsolidated sediments, particularly in valleys, dune fields and the coastal plain. These form variably local/discontinuous to regional/continuous aquifers. The unconsolidated aquifers are described separately in the table below, but where they overlie bedrock aquifers, they can be in hydraulic continuity with the underlying aquifer. This is particularly the case where they overlie consolidated sedimentary rock aquifers, but can also occur over basement and igneous aquifers. Low to High Unconsolidated sedimentary aquifers cover a large part of the Mozambique basin, especially south of the Save River; and occur in river valleys and in some dune and coastal areas across the country. They form variably local/discontinous and, in some areas, more regional/continuous aquifers. Groundwater in the unconsolidated aquifers may be in hydraulic continuity with underlying bedrock aquifers. Key aquifers include sand layers within clayey alluvium; loamy silty to medium grained aeolian and beach/marine sands; and areas of weathered fine grained clayey sands overlying consolidated rocks. Less frequent, but highly productive, are thick sandy and gravelly alluvium in valleys. A belt of dune sands with an average width of 30 km is developed along the entire coast of southern Mozambique, south of the Save River, overlying Cretaceous-Tertiary sedimentary rocks. The dunes are dominated by marine and transitional unconsolidated sand formations. These porous aeolian sands form a regional unconfined aquifer which can be very productive, as shown by boreholes in the Ponta de Ouro and Tofo aquifers, and can contain fresh groundwater. Dune sands typically form at least moderately productive aquifers (borehole yields 3 to 10 m³/hour). Permeability decreases from the coast inland, as a consequence of increased clay content. The sands can be in hydraulic continuity between the upper unconsolidated and deeper consolidated aquifer: for example, along the Inhambane coast, dune sands overlie very productive limestones of the Jofane Formation, except in the area around Inharrime, where the dunes cover the low productive argillaceous sandstones of the Inharrime Formation. South of Bay of Maputo, dune sands overlie and are likely to be in hydraulic connectivity with, underlying limestones and calcarenites of the Salamanga Formation, which outcrops along the Maputo River (see below). Significant thicknesses of alluvium have been developed along the main river valleys, including the Zambezi and Buzi Rivers, and the Zambeze Delta. If the alluvium is dominated by sands it can form a moderately productive aquifer (borehole yields 3 to 10 m³/hour). The aquifers are often stratified by lower permeability sediments. The Limpopo and Incomati Rivers have built an extensive alluvial fan, inland from the dune belt in southern Mozambique, with high porosity sands that form a highly productive regional aquifer, with specific yields of up to 20 m³/hour/m, and fresh groundwater. North of Maputo, this is the most important aquifer in Mozambique. The aquifer layers can be confined or unconfined, depending on local circumstances. In most areas of the southern dune belt, the nearness of the aquifer to the sea, and sometimes to lagoonal inland depressions, means that the aquifer often contains brackish to saline water, which limits its use. However, there is fresh groundwater between Homoine and Massinga. 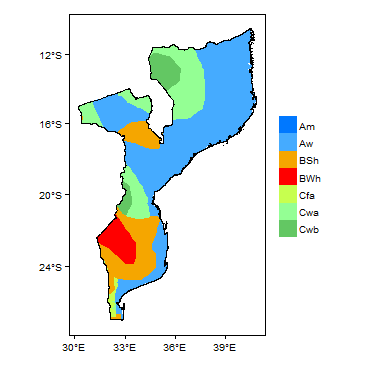 Groundwater quality in the Maputo and other alluvial aquifers near the coast, and along the main river valleys, is generally good, but salinity can become a problem inland. Sometimes, in the lower reaches of the main main valleys increased groundwater mineralization is often seen, as a consequence of occasional marine inundations or longer term sea-water intrusions near the river mouth. In the centre of the Incomati valley, the good prospects are offset by the existence of highly mineralized groundwater. Cretaceous Tertiary: Mozambique Sedimentary Basin south of the Save River Moderate to High This is the most significant sedimentary basin in Mozambique and covers an area of about 21% of the country, although in much of its area it is covered by unconsolidated sediments. It is the best studied aquifer in Mozambique. Inland, the basin is characterised by extensive erosion plains, gently dipping coastward, which are cut into by the valleys of the Save and Limpopo Rivers and by smaller rivers originating from the Libombos. The inland part of the basin is dominated by continental formations, consisting of textured arkosic sandstones. Towards the coast, limestones and calcarenites become more common. In the northeast the structural Urrongas Plateau is underlins by limestones. It is separated from the inland plains by the Mazunga Graben, of which the Funhalouro-MaboteGraben is a subsystem. They form variably productive aquifers, depending on lithology, from moderately productive (borehole yields 3 to 10 m³/hour) to productive (borehole yields 10 to 50 m³/hour). Across much of the basin, the best options for groundwater development are often in deeper aquifers - and in overlying unconsolidated aquifers in some alluvial valleys and in the coastal dune zone. Aquifer productivity tends to increase coastwards. Some formations have limestones and calcarenites and/or other calcareous rocks, and in some cases karstified limestones occur, particularly nearer the coast, such as the Salamanga Formation that crops out along the Maputo River, south of Bay of Maputo. These can have significant karstic flow, which can have high but variable permeability, and can be highly productive (borehole yields more than 50 m³/hour). However, there may be saline water in the vicinity of the river. Aquifers can be confined or unconfined, depending on local characteristics. Cretaceous-Tertiary: Mozambique Sedimentary Basin north of the Save River Low to Moderate This aquifer covers an area of about 10% of the country. The basin can be geomorphologically divided into the inland Sena Plains, the Cheringoma Plateau, the Buzi Plateau, the valley and delta of the Zambeze River and the littoral zone. The Basin is geologically dominated by marine sandstones, limestones and calcarenites. These rocks are not very favourable for groundwater development, particularly where the rock lithology is dominated by fine grained sediment, where permeability is typically very low and groundwater occurrence is limited (borehole yields less than 3 m³/hour). Borehole yields and groundwater quality prospects improve coastwards. Cretaceous-Tertiary, Rovuma/Northern Sedimentary Basin Moderate The hydrogeology of the Rovuma/Northern Sedimentary Basin is little known from boreholes, except in the areas around the main towns and cities. Groundwater prospects are limited by the dominance of impermeable marlstones, with brackish groundwater. In the more productive aquifer of the littoral zone, there is a serious salinization risk. The most favorable areas are found in the north and along the main alluvial valleys, especially at the contact with the Basement Complex. Low Igneous rocks in Mozambique typically form local, small and dispersed aquifers, with limited productivity and without significant groundwater resources. Weathering variable, but there can be a 10 to 20 m thick weathered mantle. Weathering in basalt terrain is often more enhanced, but here weathered material tends to be very clayey and almost impermeable. Some shallow groundwater can be found where the weathered mantle is thick enough and permeable enough, but generally primary and secondary fractures are the most important water-bearing features. Groundwater frequently appears in spring zones. The most productive areas are along fault zones, and talus slopes where weathering is enhanced. Typical borehole yields are less than 1 m³/hour. Where there is a well-developed, permeable weathered zone, yields from this zone can be higher, but typically not more than 3 m³/hour. Intergranular permeability is very low to zero. The aquifer is generally unconfined. Borehole depths typically vary between 30 and 100 m. Aquifer zones are typically small and dispersed, and therefore there is limited groundwater storage. Low Basement Complex rocks cover around 57% of the country, in the western part of the central region (largely part of the Zimbabwe Craton) and almost the entire region north of the Zambezi River (part of the Mozambique Metamorphic Belt). In their unweathered, unfractured state, the hard rocks of the Basement Complex have virtually no permeability. Groundwater is stored and flows through fractures, where these exist, and a weathered mantle if it develops in the uppermost part of the bedrock. Aquifer productivity principally depends on the thickness and texture of the weathered mantle and on the presence and characteristics of fractures. Because of the localised nature of fracturing and weathering, the aquifers are typically of limited extent and discontinuous. Theyare predominantly linear in shape, with an average length of 1 to 2 km, a width of 40 to 100 m and a thickness of 25 to 40 m. On plateaus, the basement rocks can be particularly deeply weathered, with weathering thicknesses of more than 50 m observed to the east of Chimio (Gondola) and 50 to 80 km to the east of Montepuez. Fracturing and weathering are often associated with particular geological structures, such as faults and folds, which are geologically 'weak' zones, easily disintegrated into individual blocks bounded by fractures and joints. These zones can have relatively high permeability, and are a key control on groundwater occurence. Aquifer lithology is also a control on weathering and therefore on groundwater occurence: coarse grained or heterogeneous rocks, and soluble marbles, or the existence of contacts between rock types of different nature, facilitate weathering. On the Precambrian Basement Complex (in the north of Mozambique), a poorly developed weathered mantle (generally less than 20 m) limits groundwater storage. The aquifer typically has low permeability and productivity, with borehole yields less than 3 m³/hour. Positive exceptions can be found in fractured fault zones, valleys filled with unconsolidated alluvium, or where the weathered mantle is particularly thick (20 to 50 m), where borehole yields up to 5 m³/hour are possible. The Precambrian Craton (in central-west Mozambique) is characterised by mountainous areas without a significant weathered mantle, and therefore with very limited groundwater resources. Borehole yields are generally less than 1 m³/hour. Groundwater frequently appears in spring zones. The most productive areas are along fault zones. The quality of groundwater is generally good, with total mineralization typically below 600 mg/l. Higher salt concentrations are found in areas with relatively high evaporation rates, such as in the coastal belt of the northern provinces (500-1000 mg/l) and in the depression along the Zambeze. Other anomalies are related to the mineralogical composition of the parent rock. Dark coloured ferro-magnesian rocks, such as amphibolites, contain hard water with mineralization of up to 4000 mg/l (e.g. in the Montepuez area). Basic rocks with predominant calcic plagioclase, such as gabbros and anorthosites, also contain hard groundwater with mineralization of between 400 and 1600 mg/l. Bicarbonate water is the dominant type in the Basement Complex, but chloride water is the dominant type in the coastal zone of Cabo Delgado. Groundwater pH generally varies from 7.0 to 8.3. Groundwater in the northern part of Tete is acid with pH values of 4 to 6.4. Together with a low hardness of 80 to 130 ppm CaCO3, this water can be considered aggressive. Reliable information on natural aquifer recharge in Mozambique is very scarce. Only a few studies have been conducted, in a few small areas. Recharge to sandy soils around Maputo was studied by IWACO in 1985 and was found to be somewhere between 140 and 185 mm per year, which is around 20% of the total precipitation. In other areas with sandy soils and higher precipitation, recharge was found to be higher, for example, 210 and 350 mm per year, or around 30% of annual rainfall, near Pemba. In drier areas with less permeable soils, such as the semi-arid Chitima region near Tete, recharge values of less than 10 mm per year were estimated (IWACO 1985, DNA 1987). There are many potential problems linked to the use of groundwater in Mozambique. Little information exists on the present status of groundwater quantity, and there is no quantitative information on groundwater use and recharge. Before groundwater can be used on a large scale for irrigation or other uses, extensive research is needed (DNA 1987; British Geological Survey 2002). •	Mozambique still has enough areas that can be developed for irrigation using surface water resources. •	There is limited to no information on the potential of aquifers and yields of individual boreholes. •	Large areas in southern Mozambique are deemed unsuitable for groundwater abstraction due to salinity issues. The exact extent of these areas is undetermined. It seems that the lack of information (which means there is an unknown risk of drilling low yielding boreholes and/or incurring high drilling costs) is a larger constraining factor than the actual potential of the groundwater. As well as this, there is a general consensus that surface water is more cost-effective for irrigation than groundwater. The potential for, in particular, large surface water irrigation schemes is still present in Mozambique, and thus the interest for groundwater is low. Furthermore, the following can be concluded: 1)	There is little knowledge of groundwater use around non-perennial rivers 2)	Groundwater for irrigation is mainly used for subsistence farming, except for certain labour intensive areas around Maputo. 3)	Legislation of groundwater abstraction is in its infancy in Mozambique. Capacity is very limited presently. Technical assistance and capacity training in this area is essential. 4)	Groundwater is probably underutilised at present, as potential users do not have knowledge of or access to the groundwater potential in their area. 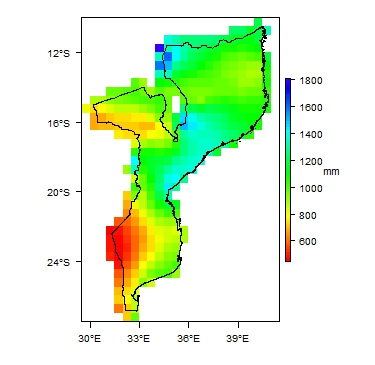 Little information is available on the quality of groundwater in the aquifers of Mozambique. The available information suggests that the groundwater is for the larger part fresh and of acceptable quality, though often of limited quantity, especially in the aquifers of the Basement Complex and the Volcanic Terrains. Significant salinity problems are experienced in some parts of the Tertiary aquifers in the south, as a result of natural seawater intrusion, forming areas with brackish groundwater. In large parts of Gaza, Maputo and Inhambane Province, groundwater in the main aquifer (from 20 – 80 m depth) has Electrical Conductivity values well above the WHO drinking water standards of 2000 µS/cm. These values also make the groundwater unsuitable for many crops and for livestock watering. In some particular instances (e.g. at Chokwe and Chibugo), extra deep boreholes (100-150 m) have been drilled to reach fresh water in aquifers. Such boreholes are, however, too expensive to consider for irrigation (particularly as proper sealing of the upper saline aquifer needs to be achieved). There is risk of pollution in the vicinity of industrial and urban developments, including from sewage effluent, from centres of petroleum and chemical manufacture, and from ports, as well as from agricultural activity. Pollution incidence is likely to be greatest in the coastal lowlands (DNA 1987, British Geological Survey 2002). Localized groundwater pollution is known to be occurring in the Chokwe (Gaza Province) area, where extensive irrigation has taken place (using surface water) since the 1930s. This has raised the local groundwater table and has led to increased levels of salinity. An estimated 2,000 hectares (of the 30,000 irrigated) has already been lost for normal crop production (Interview with Eng. Rui Brito UEM, Faculty of Agronomy and Forestry). Pollution by heavy metals is rarely measured or recorded. A recent GAS meeting indicated that after a relative extensive groundwater quality study led by UNICEF in the centre of Mozambique, only in some areas (around Gorongosa mountain) was mercury (Hg) found at levels above WHO standards (Minutes of meeting GAS, October 2009). Groundwater is the main source of domestic water for most rural areas, and for the towns of Quelimane, Pemba, Tete and Inhambane. Groundwater is also used in part of Maputo (Private Small System). The Census of 2007 showed that groundwater is used by at least 60% of the population. It is mostly extracted through hand-pump mounted boreholes (14.1%) and open shallow wells (46.8%), for used for drinking water in rural areas. Piped water to taps (to individual houses and public tapstands) (20.6%) is also partly produced from groundwater. Surface water from rivers and lakes is only used by 17.1% of households. As there is no form of monitoring or control of groundwater use, there is no quantitative information on total quantities or quality. Reliable estimates on the resources available are also non-existent (ADB 2007). A prognosis by DNA (RWSS 2005) indicated there were over 17,000 boreholes throughout the country in 2010. Most irrigation in the past has been from surface water, and irrigation infrastructure largely fell into disrepair during the civil war, but irrigation development has been promoted by the new Instituto Nacional de Irrigação (National Irrigation Institute) since 2012. To date, groundwater irrigation is largely done by smallholder subsistence farmers, but recent studies have estimated that there could be large potential to expand groundwater irrigation in many areas (Oates et al. 2015). The National Water Directorate is responsible for water resources planning and development. - Identify and register unregistered water, river and lake users. In total there are 5 ARAs: ARA-Sul (South), ARA-Centre, ARA-Zambeze, ARA-Centro-Norte (Centre-North), ARA-Norte (North). Regulation for Waste Management, Decree No. 13/2006, of 15 June. The EPA 2009 National Recommended Water Quality Criteria for freshwater and marine waters. The water quality criteria were designed for the protection of aquatic life and human health in surface water and include values for both acute and chronic risks. In this report, the most conservative value for each parameter has been used. The Mozambican Water Quality Regulations on Water Quality for Human Consumption (Ministerial Order No. 180/2004 of 15 September 2004), was also reviewed as part of the data assessment. Issuing permits for drilling and groundwater abstraction is part of the mandate of the ARAs. However, up to now, only ARA-Sul has made a start with registration of groundwater users and issuing permits for drilling and groundwater abstraction. ARAs are also responsible for the delineation of groundwater protection zones. However, to date no protection zone has been established. Treatment of waste water is the responsibility of the municipalities. There are no national groundwater level monitoring programmes, and only one regional groundwater monitoring network, established by ARA-Sul for the Greater Maputo Aquifer. This aquifer stretches from Maputo to Magude, with an aquifer width of about 40 km and length about 120 km. ARA-Norte is monitoring the groundwater well field for the supply of Pemba, while ARA-Zambeze is responsible for the monitoring of the groundwater well field for the cities of Tete and Quelimane. The piezometers of the networks are not monitored ate a regular basis. At present, the ARAs are mainly focused on measuring surface water flows, and attention to groundwater monitoring in the well fields is just begining. ARA-Sul is also measuring groundwater quality (a limited number of parameters) in the Greater Maputo Aquifer, but not on a regular basis. For the Greater Maputo aquifer ARA-Sul has 25 monitoring points. Transboundary surface water management is an important issue in Mozambique. The country shares 9 river basins with neighbouring countries and in nearly all cases Mozambique is the downstream country. However, there are no significant transboundary aquifers. The following references provide more information on the geology and hydrogeology of Mozambique. These, and others, can be accessed through the Africa Groundwater Literature Archive. Republica de Mocambique - Ministerio dos Recursos Minerais – Direccao Nacional De Geologia. 2008. Carta Geologica Escala 1:1,000,000. GTK Consortium. 2006. Carta Geologica Escala 1:1,000,000: Map Explanation, Volume 2. Describes the central part of Mozambique. GTK Consortium. 2006. Carta Geologica Escala 1:1,000,000: Map Explanation, Volume 3. Describes the eastern-central part of Mozambique (Zambezi Province). Ferro and Bouman / DNA. 1987. 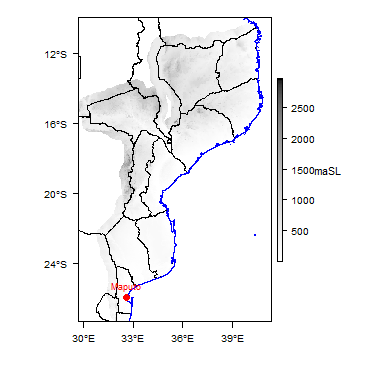 Explanatory Notes to the Hydrogeological Map of Mozambique: 1:1,000,000. This map is largely based on the 1978 national geological map (Afonso 1987), and limited hydrogeological field data. The national geological map was updated in 2008 (see Geology: key references, above), but the 1987 national hydrogeological map has not yet been updated. African Development Bank (ADB). 2002. Mozambique Water and Sanitation Sector Review. Prepared by SEED, May 2002. British Geological Survey (BGS). 2002. Groundwater Quality: Mozambique. Cronin AA, Breslin N, Gibson J & Pedley S. 2006. Monitoring source and domestic water quality in parallel with sanitary risk identification in Northern Mozambique to prioritise protection interventions. Journal of Water and Health, 4(3), 333-345. DNA. 1999. Water resources of Mozambique. Government of Mozambique (GOM). 1995. Política Nacional de Águas, Resolução do Conselho de Ministros nº 7/95 de 8 de Agosto, Boletim da República no. 34, 1ª Série de 23 de Agosto de 1995. IWACO. 1985. Study of groundwater to supply Maputo. Oates N, Jobbins G, Mosello B and Arnold J. 2015. Pathways for irrigation development in Africa–insights from Ethiopia, Morocco and Mozambique. Future Agricultures. RWSN. 2015. Strengthening the Domestic Drilling Industry Lessons from the Mozambique Drillers Association. RWSN Water and Sanitation Programme. World Bank. 2007. Mozambique Country Water Resources Assistance Strategy: Making Water Work for Sustainable Growth and Poverty Reduction. AFTWR, Africa Region, August 2007. The DNA (National Water Department), together with donors, particularly UNICEF, have carried out several water borehole drilling programs. The drilling programme reports provide lithological (geological) information (typically simple but relatively accurate descriptions); borehole information (depth, location filters etc); and hydrogeological information (water levels, main water strikes, some water quality parameters). Proper pumping tests data are rare: most constant discharge tests were less than 1 hour, and in most cases only air-lift tests were done. This information from drilling programmes is not available in one report or single database: the DPOPH (Provincial Departments of Public Works and Housing) have databases with hydrogeological data per province. ASNANI. 2004-2008. Executed by DNA and financed by ADB. Hundreds of boreholes drilled in Nampula and Niassa Provinces. MCA (Millenium Challenge Account. 2008-2012. Hundreds of boreholes drilled in Nampula and Cabo Delgado Provinces. UNICEF One Million Initiative. 2008-2012. Hundreds of boreholes drilled in the Tete, Manica and Sofala Provinces. This page was last modified on 18 February 2019, at 18:41.